A few days ago, friend of mine in Alice Springs sent me these two amazing pictures of albino peacocks, and it got me thinking. I started to recall my studies of the great 18,000 verse Sanskrit epic, Srimad Bhagavatam. In the Second Canto it describes what is known as the virat-rupa, otherwise known as the Universal Form of God. The Bhagavatam describes a type of meditation where one can perceive this Universal Form everywhere in the creation. This is a highly conceptualised form, but nevertheless it can elevate one far beyond normal mundane sense perception. When bird feathers are studied closely, a very delicate design emerges. There are even tinier hairs on every tiny hair, and these have special hooks, allowing them to hold onto each other. Just one crane feather, for instance, has about 650 barbs on each side of the shaft. About 600 barbules branch off each of the barbs. Each one of these barbules are locked together with 390 hooklets. The hooks latch together as do the teeth on both sides of a zip. If the hooklets come apart for any reason, the bird can easily restore the feathers to their original form by either shaking itself or by straightening its feathers out with its beak. To claim that the complex design in feathers could have come about by the evolution of reptile scales through chance mutations is quite simply a dogmatic belief with no scientific foundation. The design of feathers also compelled Darwin to ponder them. 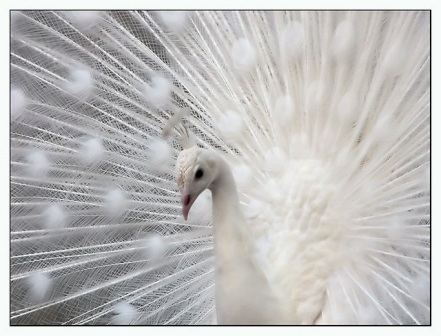 Moreover, the perfect aesthetics of the peacock’s feathers had made him “sick” (his own words). 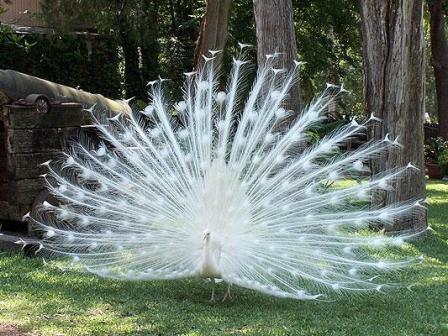 The unbelievably complex design of feathers clearly demonstrate a scientific and artistic brain of immense capacity. It is clear to me that this exquisite artistry and profoundly intelligent design belongs to none other than The Supreme Artist and Supreme Designer Himself.